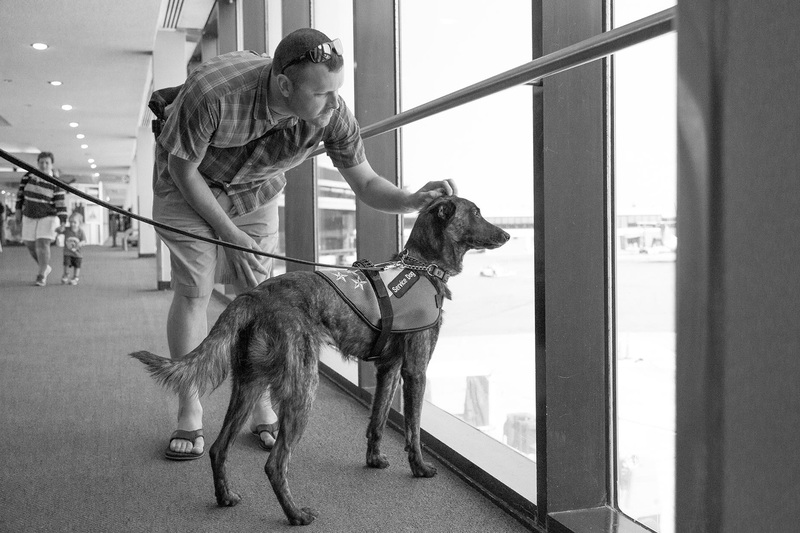 CMSgt Michael Jones, (USAF, ret) Mike Jones, a former Special Forces Pararescueman (PJ) meets his service dog, Sandy for the first time at Newark Airtport, New Jersey. Sandy was trained specifically by K9 Soldiers and The Argos Project to assist Jones with his Post Tramatic Stress Disorder. May, 2015.